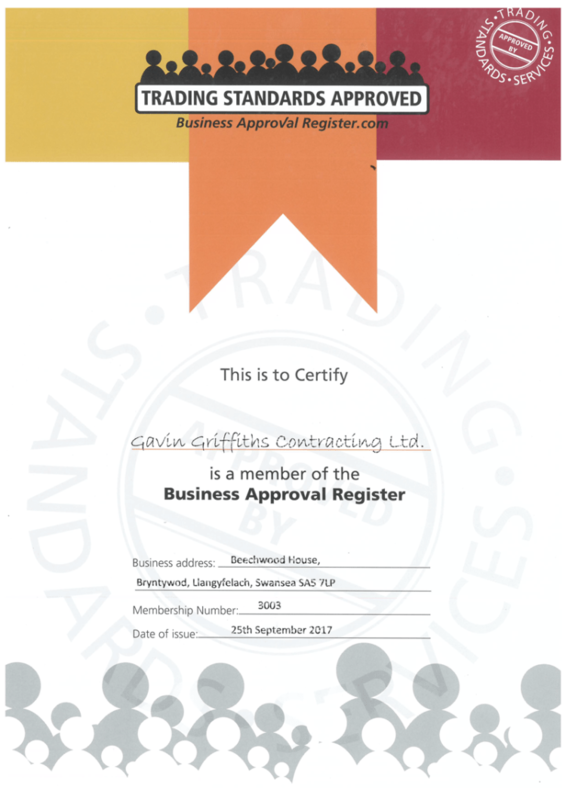 Gavin Griffiths Group is proud to announce that as from June 2017 they are now registered with “Business approval register”. This shows that we are committed to operating in a legal, honest and fair way. All the businesses listed with https://www.businessapprovalregister.com/ have been vetted, approved and continue to be monitored by Trading Standards, to help ensure you receive a quality service. Businesses are only included once they’ve completed a series of stringent checks. Business approval register is a national register of Trading Standards Approved businesses supported by Trading Standards services.